Am I a crazy person? I felt a touch of madness at the end of it. The experience was different than I expected. When I arrived at the Washington Auto Press Association event, I was unsure of how everything worked. “How does this work?” I asked Will. I noticed one car was sitting all alone, untouched, unloved, like a sad dog at the pound, not even a corporate representative standing by it. I had to drive it. “Do you want to try that?” I pointed at the car, trying to look unenthusiastic. 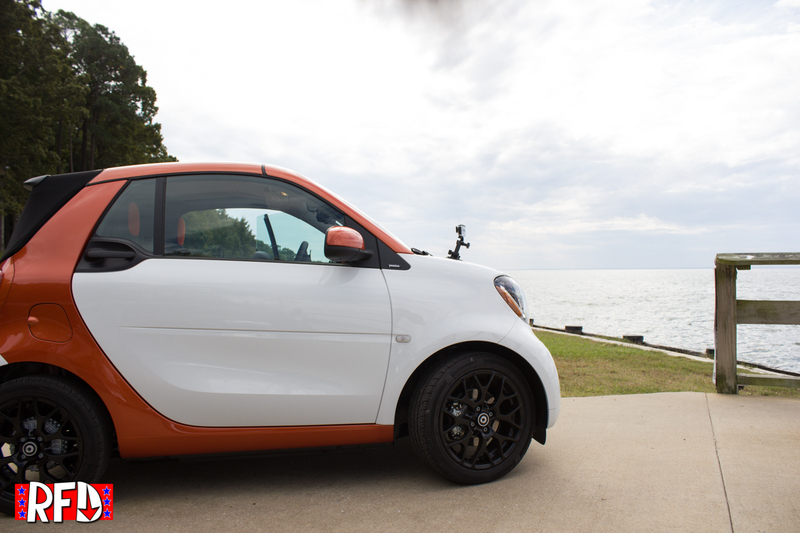 We walk over to the 2016 Smart ForTwo Passion to set up the cameras and equipment. It’s at this point in the Smarticle that I have to admit, I may have a problem. I like small cars. I like them a lot. I don’t know when this problem started, I’m 6’2″ I should hate small cars! But there’s something endearing about having a car that is only as much car as you need. 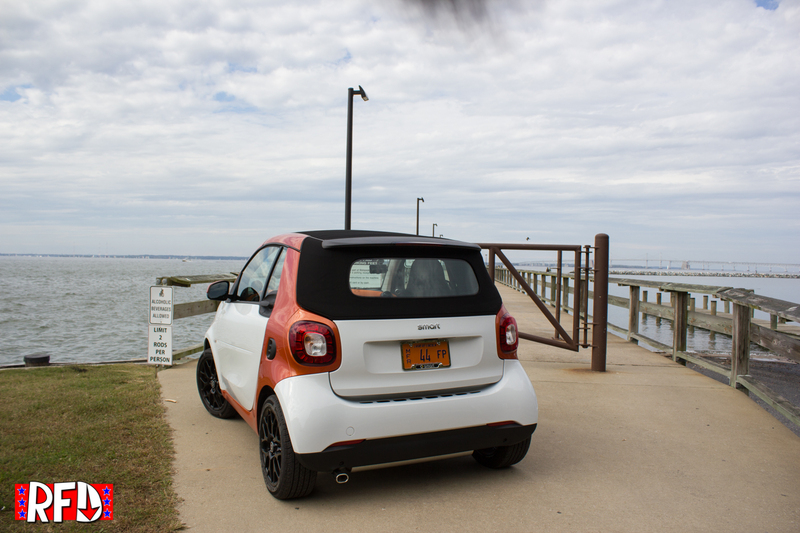 The Smart Car is not that car. It’s not really practical, it’s not comfortable, its not sporty, it’s not powerful, it’s missing a lot of the things that make a car truly a car, but that’s why you get it! 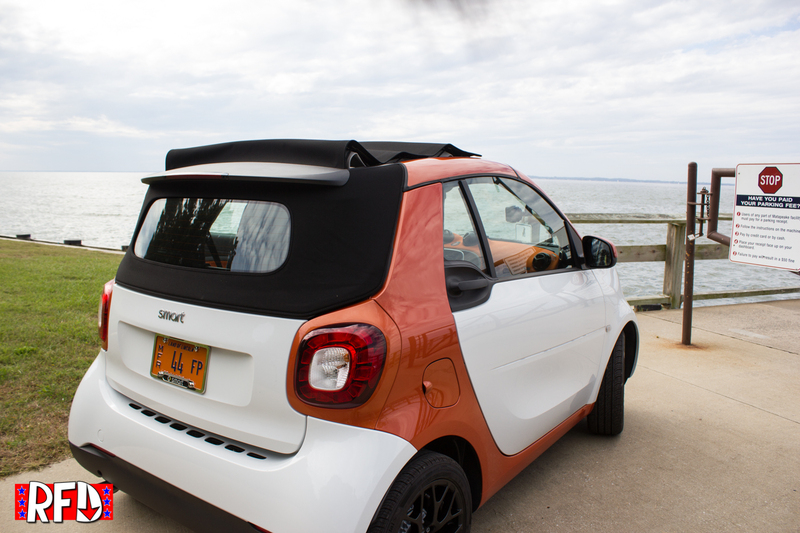 That’s the Smart Car. It’s not a status symbol, people will never understand what you see in it. It’s gonna get a name, and you’re gonna call it by that name and that will confuse people. You’ll get weird looks while you are out and about, you will just know that people are saying stuff behind your back. It doesn’t matter though, you’ll love your wittle shnookums and it doesn’t matter what they say. Getting away from feelings and back to the facts for a moment; I don’t think I could recommend this car to you, for two reasons. The first reason is this just isn’t a good car, that’s not to say there’s something wrong with it, it drives nice. It has enough power…I guess. It has a pleasant interior. It won’t leave you stranded (most likely). But it’s just not as good as other cars for the same price. If your only requirement in a vehicle is “easy to park”, then get this. Really. That’s it. That’s what this does better then anything else on the market. The second reason being that you’ve already either decided that you love or hate this car. Nothing I could say could push you into or out of this car. You either like small dogs, or you don’t. Same goes with cars. Is it the best small car? But what it is, is something different, something that speaks to a deeper part of you. If this car does that to you. Get it, you’ll probably be happy with it. So am I crazy? Maybe. At the end of the experience I told Will I wouldn’t buy one. I stand by that. If however I came across one tipped over, left abandoned on the street, scrounging for food, with that look in its eye of longing for love…instead of calling the pound I would rescue it. But only if it had the manual transmission.